Rockstar proves that they are still the masters of the Wild West. While I am still far from finishing the game, I believe Rockstar’s “Red Dead Redemption 2” is one of, if not the, greatest video games of all-time. It’s a game with a story that pulls you in immediately, an endless world of possibilities and is breathtakingly realistic while also being visually stunning. 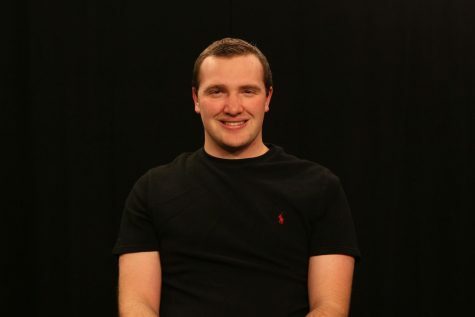 The game is divided into chapters as main character Arthur Morgan travels across the wild west with the Van Der Linde Gang, which returns multiple characters from the original “Red Dead Redemption.” The story is a prequel to the original, so don’t worry about missing out if you haven’t had the pleasure of playing the first game. Without revealing any spoilers, the story is fresh, phenomenal and the stuff of motion pictures. The voice acting, specifically from characters Arthur Morgan (played by Roger Clark) and Dutch Van De Linde (Benjamin Byron Davis), is spot-on making each cut scene feel like an old western film. It also seamlessly flows into the cut scenes, which makes the world even more alive and immersive, while also providing more realism to the story. The draw of the game isn’t the story, though. It’s the massive world that the story takes place in. The world is the largest that Rockstar has ever done, which was a risky move given that the only convenient way to traverse the world is on horseback. Rockstar made this into a bigger risk by replacing fast travel with a new cinematic camera. This new camera causes the horse to travel to the way point automatically, while you can relax and watch the stunning visuals in the environment. Just like in real life though, the world is always alive. So be wary during this as rival gangs or predators can attack while in the cinematic camera. The picturesque environment isn’t the only thing that stands out in the world. The amount of effort that Rockstar put into to making this world feel alive really shows. 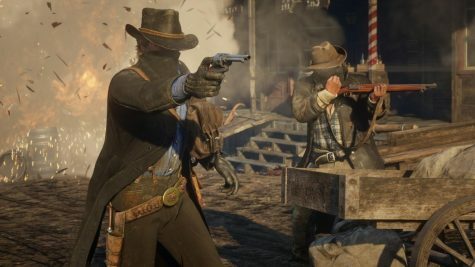 The story script was reported to be about 2,000 pages long, and Dan Houser, vice president and co-founder of Rockstar Games, estimated that if you include all of the side missions and NPC dialogue you’d get a stack of pages that is “eight feet high.” It’s been reported by multiple outlets that there were at least 80 pages of dialogue for each NPC, as well as over 200 different animal species in the game, with each one having different and realistic sounds. The world also feels alive with the inclusion of the little things. Every NPC in the game can be talked to. With 80 pages of dialogue for each one, you feel like you’re getting a new conversation every time. The world is also interactive, as almost every drawer and every item in a building can be opened and taken. Every door can be interacted with, as almost every building is open for entry. These little things make a world one can get lost in while playing. The world also benefits from the amount that players can do. While there are story missions and side quests, the return of stranger missions that debuted in Red Dead Redemption and was improved upon in GTA V offer even more to do. The world also has activities such as dominoes and poker, hunting, bounty hunting and much more. Taking care of yourself and building relationships with your gang and your horse are really important to this game. While I initially thought that this could be an issue, given how annoying Rockstar’s “Grand Theft Auto: San Andreas” was when it came to keeping your character fed, it’s actually quite fun to maintain the health and relationships of Arthur. Your player will lose health when he’s hungry, wearing winter clothing in warm weather or even smoking too much. While worrying about that, you also have to worry about keeping the gang happy and making sure that your horse is fed and clean. Baths and shaving are also important for your main character in this game. These small things may be annoying and difficult to manage at first, but as you go on you realize how special they make this game. It truly is a game that feels realistic, while not being too mundane to come off as annoying. I can go on and on about the little things in this game that make it realistic, such as consistently losing your hat in fights and only being able to carry three weapons at a time, but for the sake of letting people get lost in the world themselves, I’ll stop here. A lot of people will say that this game is just “Grand Theft Auto” set in the wild west. While Rockstar Games clearly has their own style with open-world games, this game is so much more. The company has followed the video game achievement that was “GTA V” with an even better game. 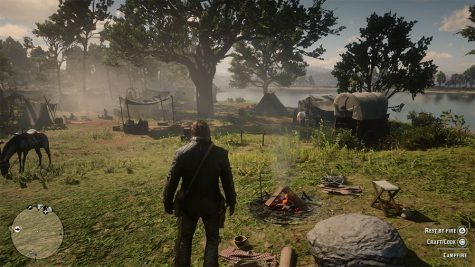 This game is made better due to it’s attention to the smallest details and for crafting a story that Clint Eastwood would be proud of.